The Provincetown AIDS Memorial — located just a block and a half from McMillan’s pier where tourists can watch for dolphins and whales and right near the Provincetown Museum, a place dedicated the the town’s colonial pilgrims and whaling industry (rather than the Native Americans who lived there first) — is made from two eight-and-a-half-ton pieces of gray quartzite engraved on its otherwise smooth sides, waves rippling along its surface. 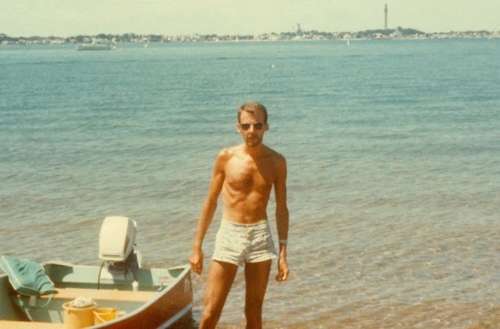 Its engravings don’t mention the word gay, why Provincetown became the go-to place for gay men dying of HIV in the ‘80s and acts as if the disease isn’t still killing over a million people worldwide each year, laments New Yorker writer Masha Gessen. Provincetown only unveiled the memorial early last month, and the process of getting it established apparently took 15 years. Artist and part-time Provincetown resident Lauren Ewing created the Provincetown AIDS Memorial which bears both a historic inscription and a collaborative poem. 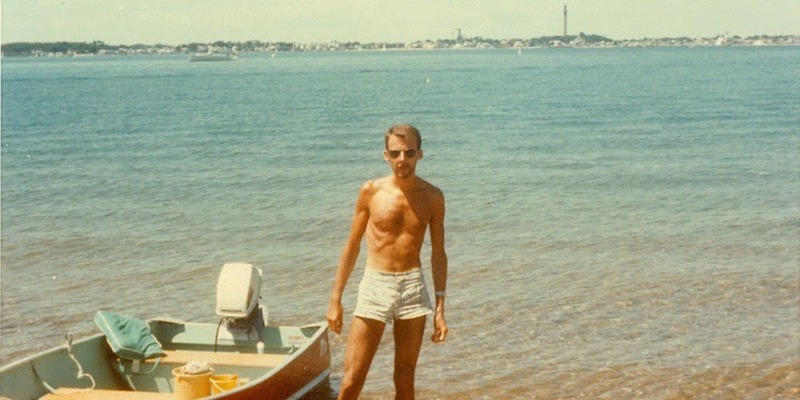 “All memorials smooth over history, leaving out much of the passion, the tragedy and, most of all, the stories of the victims,” Gessen writes, adding that “mostly middle-class, mostly white, mostly educated” people came to Provincetown because “because their own parents wouldn’t touch them, and neither would their doctors and nurses. Gessen adds that Provincetown also had “low rents in the off-season, many queer landlords who weren’t afraid to rent to the sick, an AIDS support group, a gay magazine full of treatment information … and a lesbian town nurse named Alice Foley,” who doubled as a cab driver, sometimes transporting patients to the Boston hospital two hours away. Mostly, Gessen says that the Provincetown AIDS memorial leaves out gay men’s rage of being ignored, left to die and abandoned to their own devices. Then again, does any HIV memorial capture the rage that accompanies the epidemic? 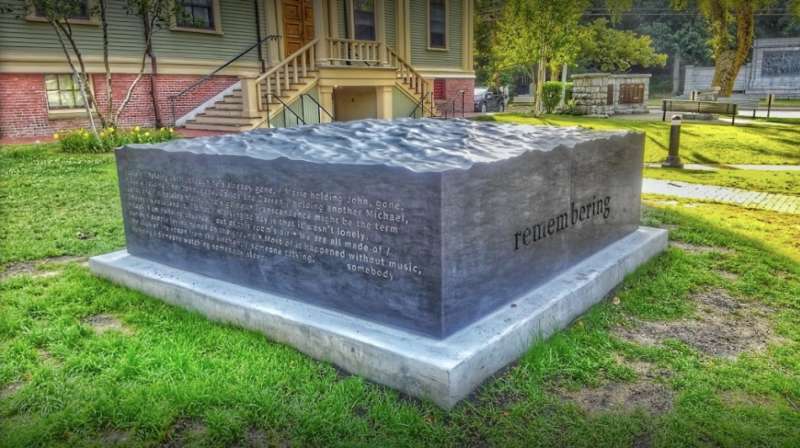 What do you think of the Provincetown AIDS Memorial? Can any HIV memorial capture the rage of the epidemic?